Lifeless Planet is a sort of a dream game for me. It is a sci-fi game where exploration and discovery is the focus, not shooting everything that moves. It has a great story without cutscenes. Is thrilling without combat. And features extremely clever and satisfying exploration of an alien world unlike any other game on Xbox One. I love it. See our full review. 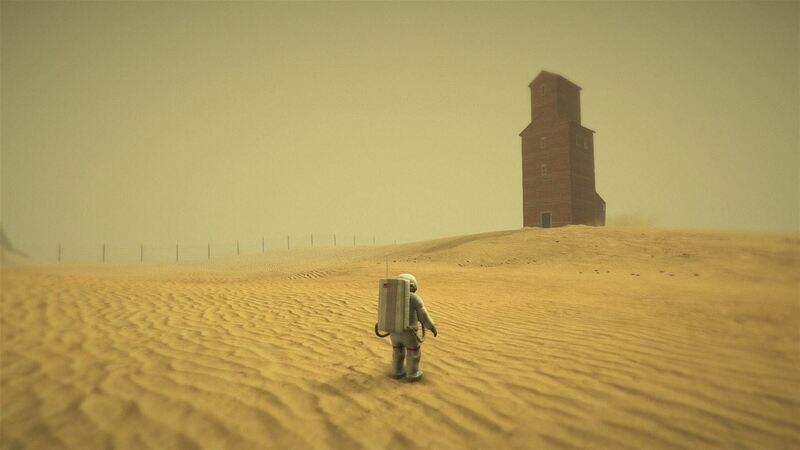 Lifeless Planet is the story of an astronaut that crash lands on a distant alien planet. When he left Earth this planet was lush and green, but when he arrives more than 20-years later the planet is dead and barren. Inexplicably, he isn’t the first human to set foot on the planet like he expected to be, either – there is an abandoned Russian colony there already. He also finds he isn’t entirely alone as a mysterious woman suddenly appears to lead him through surprising dangers lurking just below the surface. The rest of the game is spent finding out what happened to the planet, where the Russians went, and trying to figure out how to get back home. 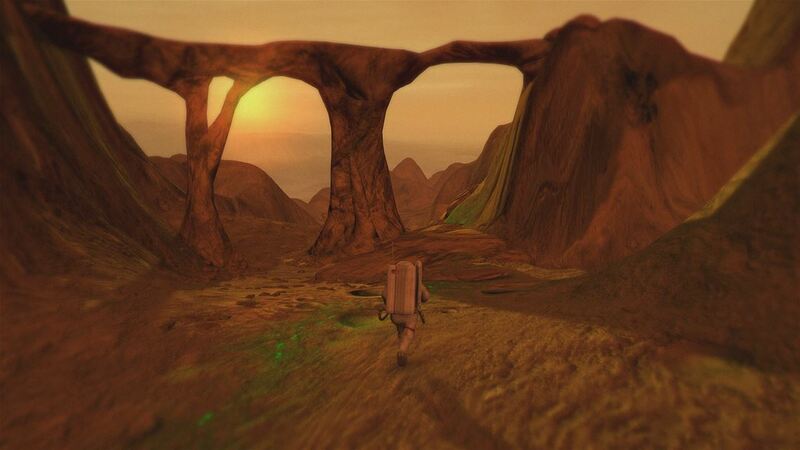 Lifeless Planet is a third-person adventure game that is entirely focused on the thrill of exploration. You walk around and look at stuff, solve some puzzles, find documents and audio logs to fill out the story, and that’s it. There are no weapons, but there aren’t any enemies to fight anyway. The alien world seems bland at first, but there are dusty plains, canyons, a dead forest, a manmade dam, underground labs, and much more. While there aren’t enemies to fight, there are dangerous things in the world, and your encounters with them are very thrilling. The game goes pretty crazy by the end, too, with some truly out of this world events happening, so don’t be put off by the seemingly boring first few minutes. Lifeless Planet really, really pays off by the end. What I like best about Lifeless Planet is how intuitive it is to play. You don’t have a map or compass pointing you in the right direction, but you always know exactly where to go. There is always something that catches your eye like a glint of metal or funny looking mountain or an alien structure on the horizon, so that’s where you go. The game is deliciously un-videogame-y in that it doesn’t baby you along and it doesn’t tell you what to do, but it also doesn’t shoehorn a clunky combat system into a game that didn’t need it. Lifeless Planet’s reward is in the story and in the exploration itself and that is very rare these days. The gameplay is extremely simple and consists only of exploration and puzzle solving. Your space suit has a simple propulsion system that you use to hop along and do some simple platform jumping, though the platforming isn’t particularly special. The puzzles, actually, aren’t particularly memorable either. The solutions to puzzles are always right in the same area, and aside from one or two that require a minute of critical thinking to figure out, aren’t too difficult. Really, the actual gameplay in Lifeless Planet is kind of mediocre. But what makes it stand out is that the gameplay isn’t the focus here. You’ll be so engrossed in the story and world itself that the “OK” gameplay isn’t a problem. You just desperately want to keep pushing forward to see what comes next, and that is awesome. The presentation here won’t exactly wow you, but it is still very effective. The textures are simple and the world seems barren and lifeless, but there is still a beauty here because the game is simple. It isn’t all just red and brown nothingness, either. The lighting engine is fantastic and the real time reflections of the world on the astronaut’s helmet are awesome. I also love that there is no UI cluttering up the screen. Sound is mostly subdued and limited to environmental sounds, but when the music picks up at key moments it is always perfect. Lifeless Planet seems bland and boring on the surface, but just like the planet you’re exploring, there’s more to it than it lets on initially. Of course, if you have a burning desire to explore an alien planet that has been with you since you were a kid like I do, you won’t find it boring at all. The exploration is simply amazing and satisfying here. Remember walking out of the vault in Fallout 3 for the first time and how that felt? Lifeless Planet is a game with 5-hours of exactly those sort of moments back to back to back to back. 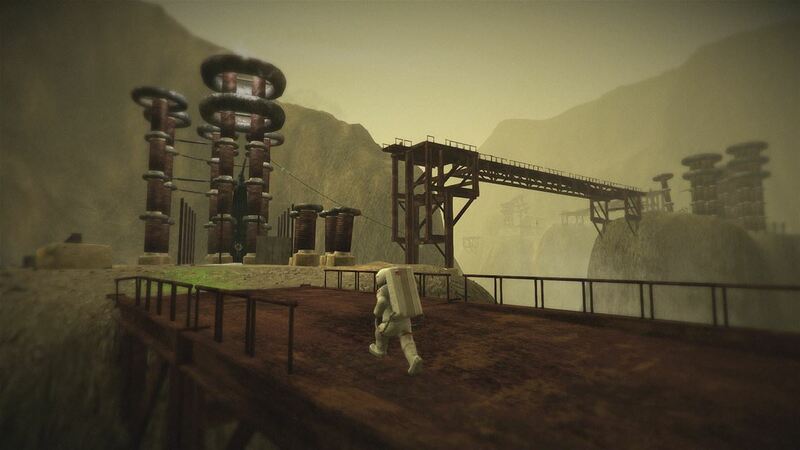 Lifeless Planet is an awesome and memorable experience that I can’t recommend highly enough. Buy it.